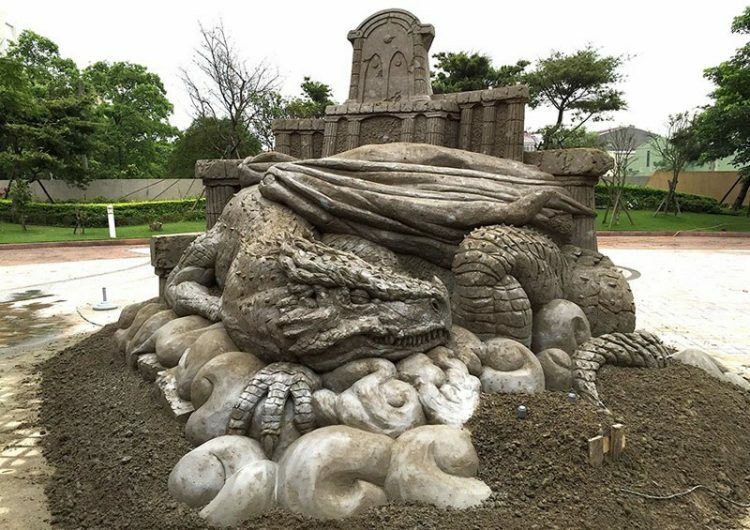 Looking at Toshihiko Hosaka’s incredibly detailed sculptures, it’s hard to believe that they are made from grainy beach sand, and not some sort of clay. 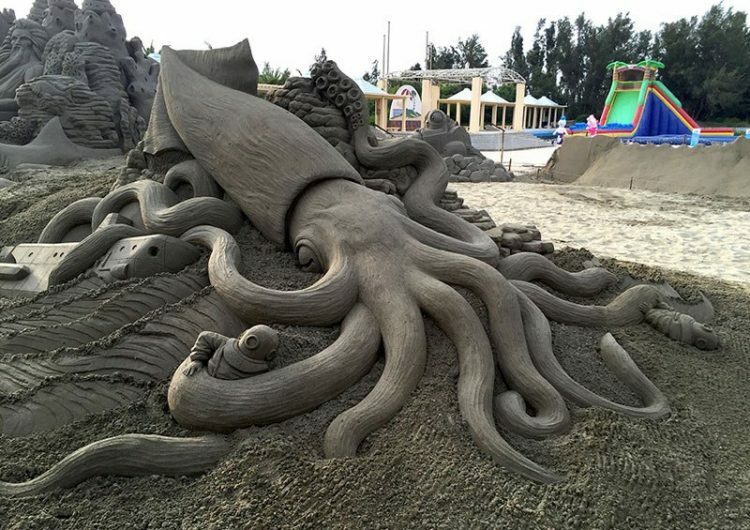 But he only uses sand, his talent and 20-years of experience. 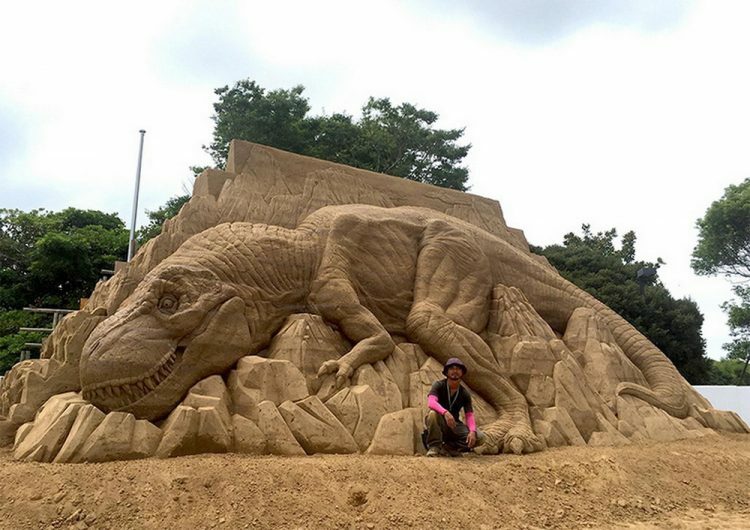 43-year-old Hosaka has been making sand sculptures ever since he was in school, and has been honing his skills for over two decades. 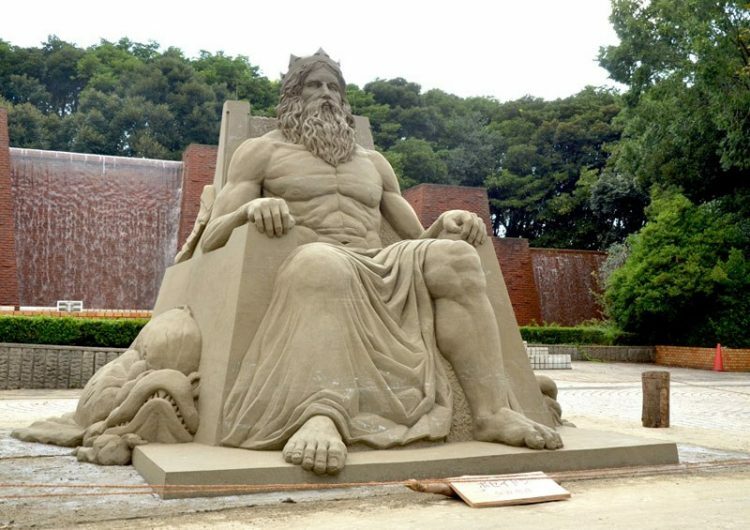 Today, he is able to create large-scale masterpieces without any molds or adhesives, only simple sand and a handful of metal sculpting tools. 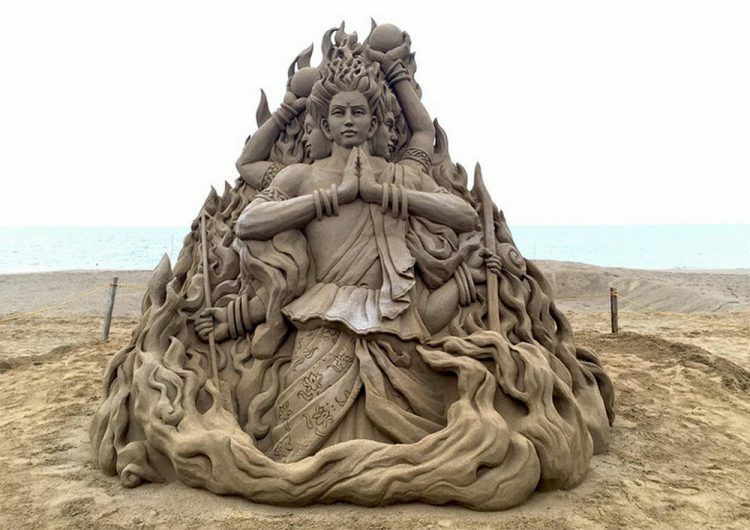 He spends hours, sometimes several days sculpting away at mounds of moist sand, but the result is always breathtaking. 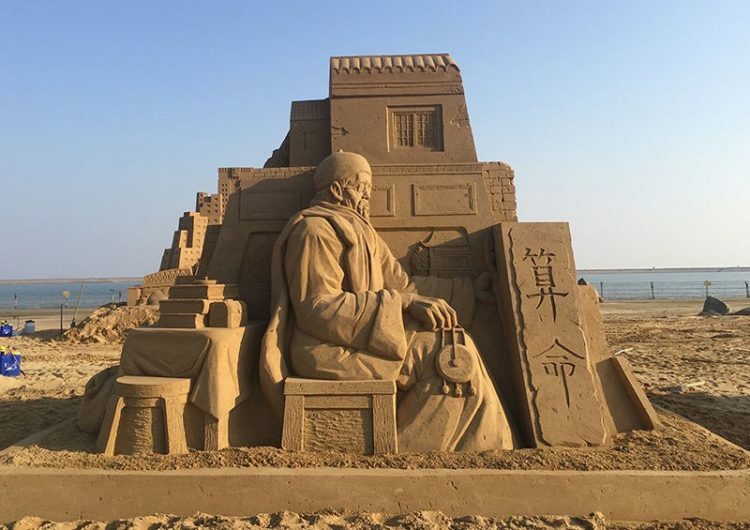 It’s a shame that sand art is only temporary, but to make sure that his beautiful creation last longer than they normally would, the talented Japanese artist sprays them with a special substance that hardens the outer layer of sand, preventing sun, wind or rain from damaging it for a few days. 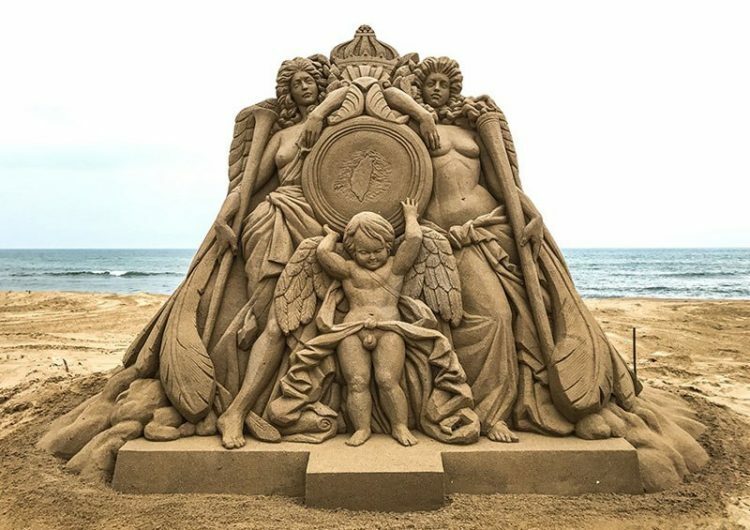 In the past, he has even collaborated with a chemical company to create a special, environment-friendly “sand art spray”. 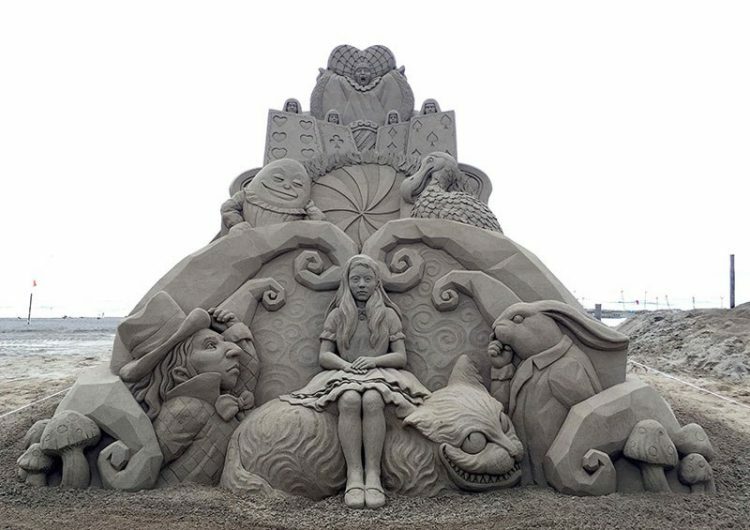 Toshihiko Hosaka is acknowledged as one of the most talented sand artists in the world right now. 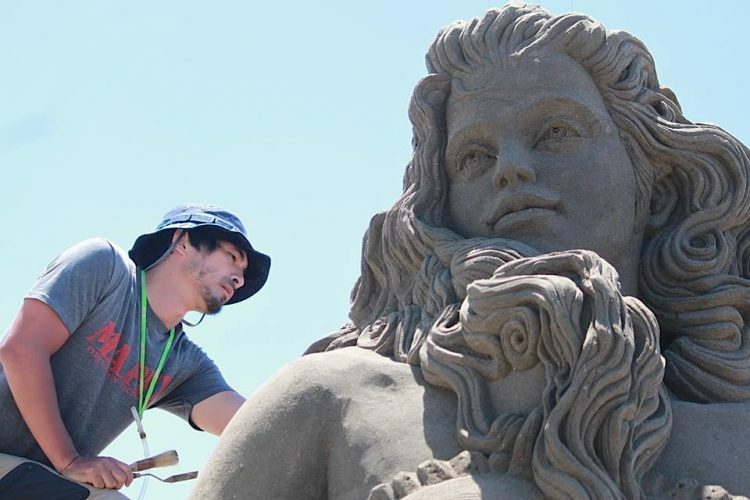 He has participated in numerous sand carving competitions around the world, winning several of them. 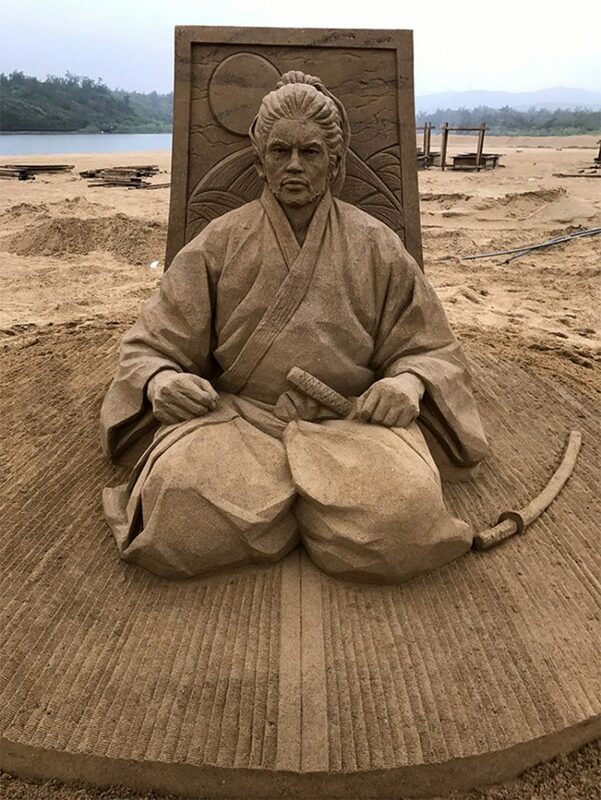 His latest success was at the Fulong International Sand Art Festival, in Taiwan, where he claimed 1st prize for a stunning sculpture of legendary Japanese swordsman Musashi Miyamoto.